Hip-hop, what does it mean to you? 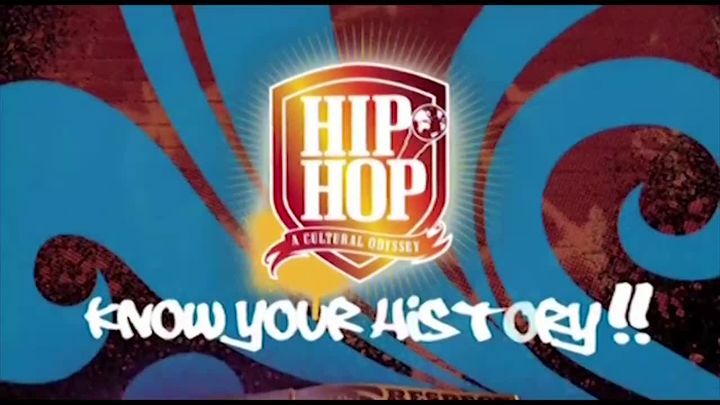 Well, for starters, if it has any significance to your being, then you must (and "must" is italicized) check out this mini-series/documentary feature, titled "And You Don't Stop: 30 Years of Hip-Hop." It aired in October of 2004 on VH1 and it is the single most important five hours I've ever spent glued to a television. Hip-hop, from its birth in the Bronx during the mid 1970s with DJ Kool Herc riding around the flatlands with his speakers blaring this brave new sound, is chronicled all the way up to the present. In it, themes, people, achievements, immortals, tragedies (2Pac and the Notorious B.I.G. and the East/West rivalries) and the music itself is explored with interviews from the pioneers themselves, rare, never-before-seen footage, and archival stock - all, in a colorful, joyful, passionate, and poignant fashion - is used to illustrate the rise of the greatest musical genre this 20-year-old hip-hop 'head has ever seen, and heard, and its acceptance into mainstream America. As I write this, my computer speakers are blasting "It Ain't Hard To Tell" by the one and only Nas, the rough Queensbridge borough's prodigal child, and whose rise in 1994 helped pave the way for other prolific New York MCs. Hip-hop, to me, or to anyone who truly appreciates it, is a part of the soul, and one of the single greatest achievements of young blacks in America. I've embraced it in such a way I feel it's become a part of me; to anyone who loves hip-hop as much as I do, this is a noble truth. Many pioneers are interviewed, including Chuck D (of Public Enemy), Ice-T, Nas, Dr. Dre, MC Lyte, Grandmaster Flash, "Reverend" Run and D.M.C. (RIP - Jam Master Jay), KRS-One, the Beastie Boys, Snoop Dogg, Method Man (of the Wu-Tang Clan), Eminem, and a number of critics and authors such as Nelson George (author of "Hip-Hop America") and Cheo Hodari Coker (biographer of the Notorious B.I.G.). When time is taken out for tragedy, like the East Coast/West Coast rivalries, it really gets your heart down. 2Pac and Biggie are both interviewed in archival footage and it's scary to see that two ghosts are talking to the camera, and it's even scarier that they can't see the fates awaiting them down the road. Still, this documentary is more celebration and doesn't drown itself in misery or hope for what once was in hip-hop. True there aren't many artists out today worth mention, but too many greats line the annals of music history to stop a few insignificants of contemporary times to hold hip-hop back. It just goes on and Doesn't Stop: it's Hip-Hop, y'all.